Download "Enrolled Copy S.B. 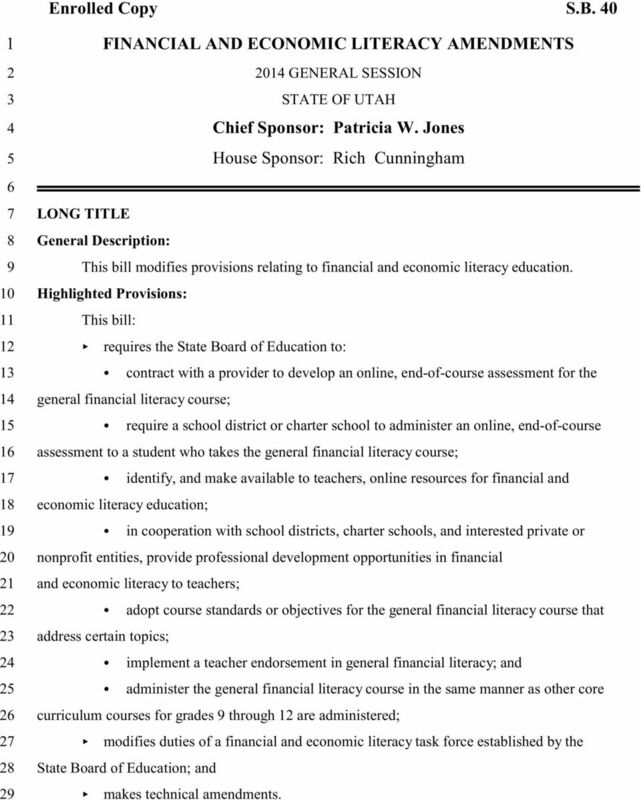 40"
1 1 FINANCIAL AND ECONOMIC LITERACY AMENDMENTS GENERAL SESSION 3 STATE OF UTAH 4 Chief Sponsor: Patricia W. Jones 5 House Sponsor: Rich Cunningham 6 7 LONG TITLE 8 General Description: 9 This bill modifies provisions relating to financial and economic literacy education. 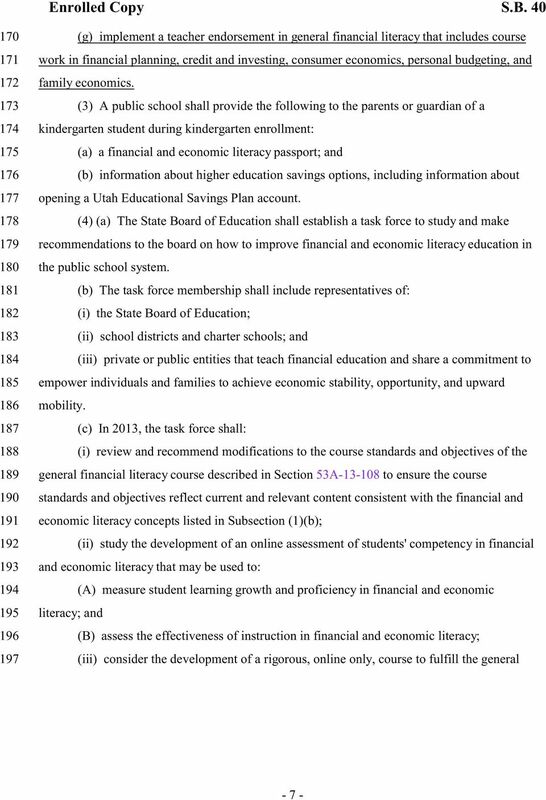 10 Highlighted Provisions: 11 This bill: 12 requires the State Board of Education to: 13 contract with a provider to develop an online, end-of-course assessment for the 14 general financial literacy course; 15 require a school district or charter school to administer an online, end-of-course 16 assessment to a student who takes the general financial literacy course; 17 identify, and make available to teachers, online resources for financial and 18 economic literacy education; 19 in cooperation with school districts, charter schools, and interested private or 20 nonprofit entities, provide professional development opportunities in financial 21 and economic literacy to teachers; 22 adopt course standards or objectives for the general financial literacy course that 23 address certain topics; 24 implement a teacher endorsement in general financial literacy; and 25 administer the general financial literacy course in the same manner as other core 26 curriculum courses for grades 9 through 12 are administered; 27 modifies duties of a financial and economic literacy task force established by the 28 State Board of Education; and 29 makes technical amendments. MISSOURI. Gerri Ogle Coordinator, School Administrative Services Department of Elementary and Secondary Education I. GENERAL BACKGROUND. R277. 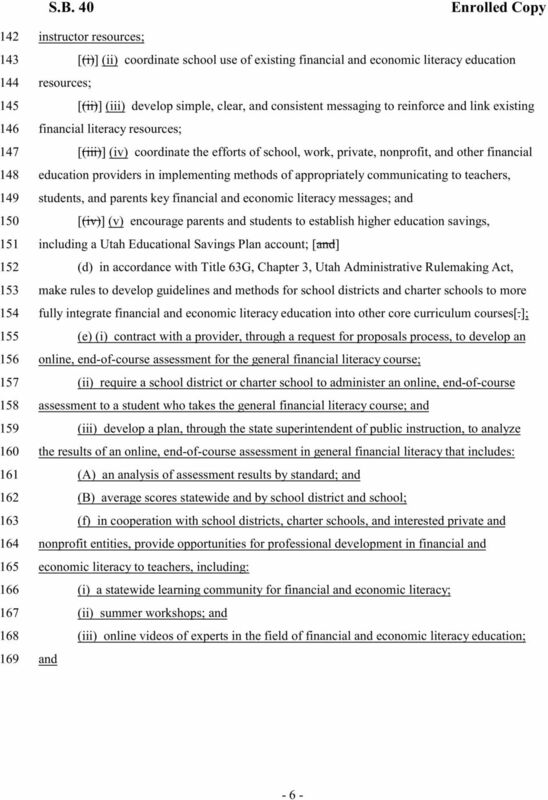 Education, Administration. R Digital Teaching and Learning Grant Program. R Authority and Purpose. R Definitions. 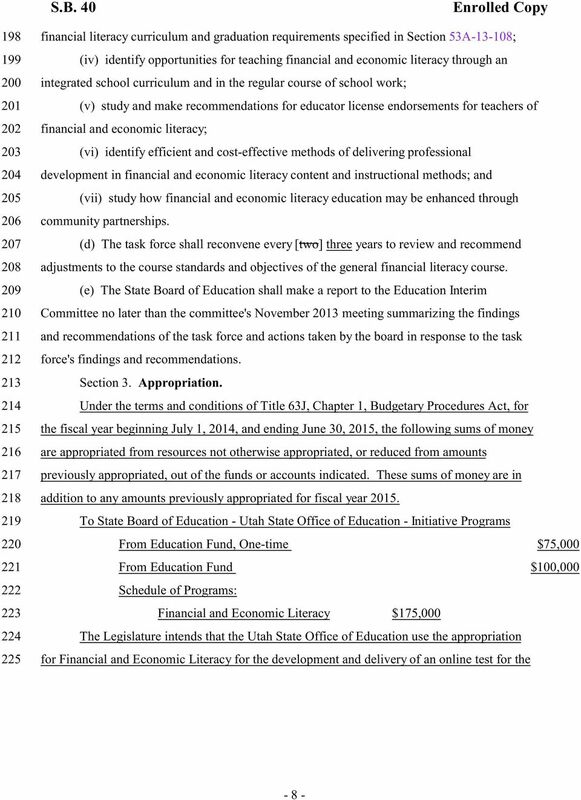 R277-922 was approved by the Utah State Board of Education on April 15, 2016. R277- R277. 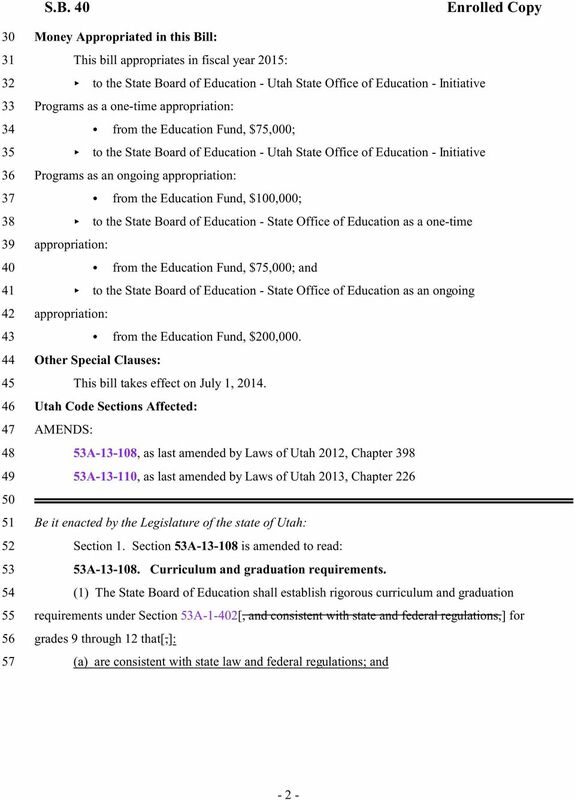 Education, Administration. R277-922. 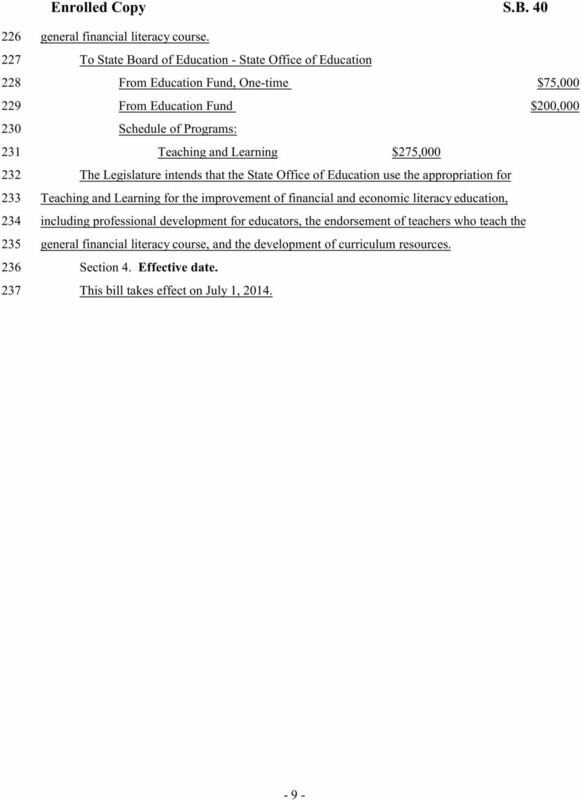 Digital Teaching and Learning Grant Program. R277-922-1. Authority and Purpose. v. Other things held constant, which of the following will cause an increase in working capital? 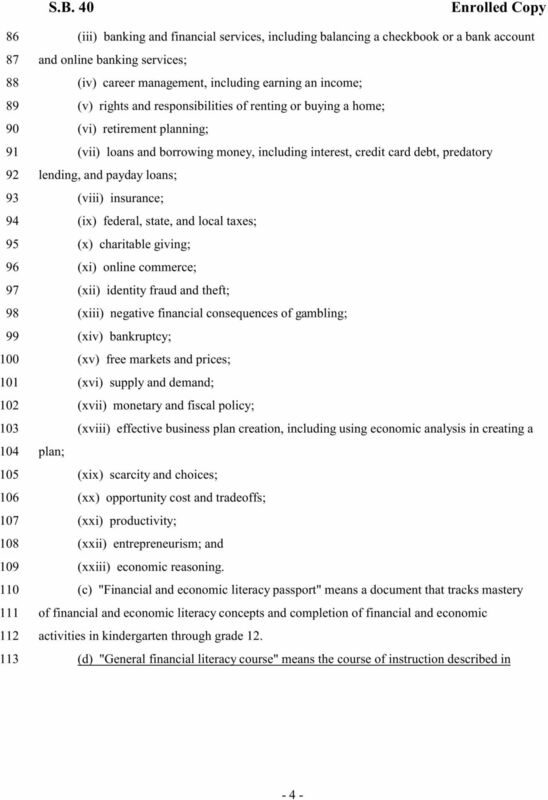 THE REGULATION OF PUBLIC CHARITES AND PRIVATE FOUNDATIONS IN HAWAII By: Hugh.R.Jones i There are over 5,000 public charities and private foundations in Hawaii according to Internal Revenue Service data. TAMU Online ESL Certification Prep Course. Rafael Lara-Alecio, PhD. Cheryl Schulman, M.S. Polly Treviño, M.Ed. 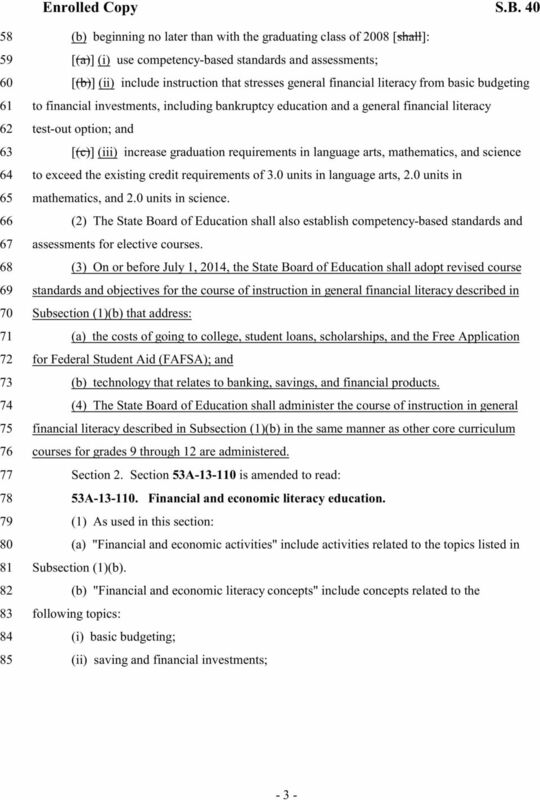 TEXAS STATE BOARD OF PLUMBING EXAMINERS RULE ADOPTION TITLE 22 Examining Boards PART 17 Texas State Board of Plumbing Examiners CHAPTER 361 Administration 22 Tex. Admin. Code 361.6 Fees 22 Tex. Admin. SENATE FILE NO. SF0100. Public school teacher incentive programs. 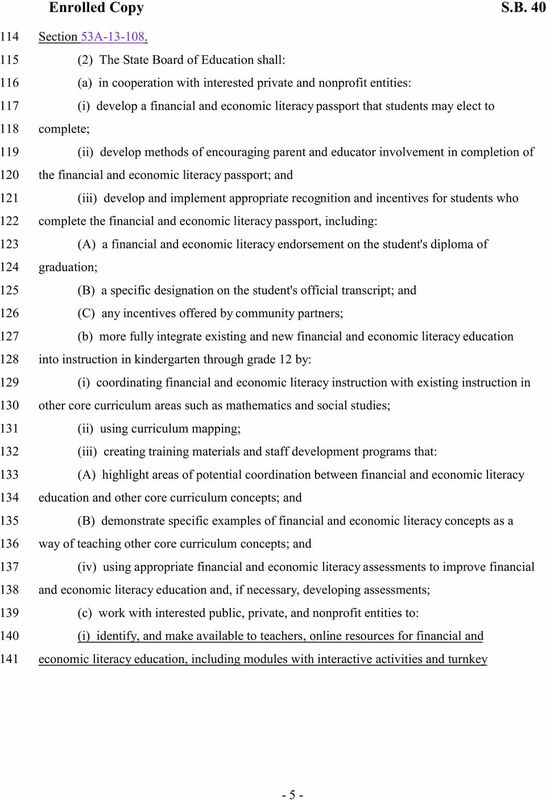 WORKFORCE READINESS THAT COLORADO STUDENTS DEMONSTRATE UPON GRADUATION FROM HIGH SCHOOL, AND, IN CONNECTION THEREWITH, MAKING AN APPROPRIATION.